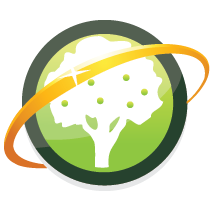 For whatever reason in the last few weeks, I’ve dove straight into everything related to WikiTree. 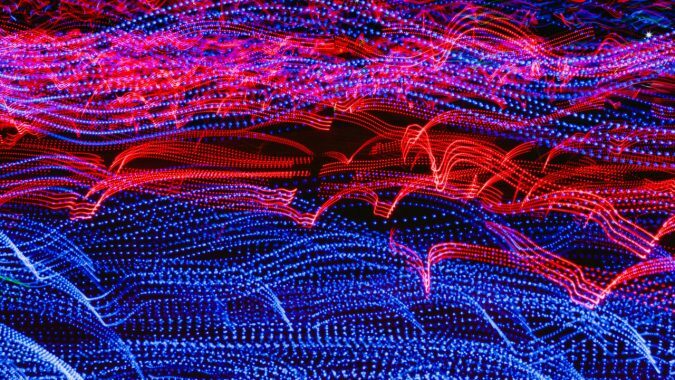 Once I started looking at all of the things that were possible with a huge, helpful, friendly community of users and a system that allows a lot of interconnectedness, I was able to find the power in the site. I’ve always used the site, but I picked up a bunch more responsibility with it recently. 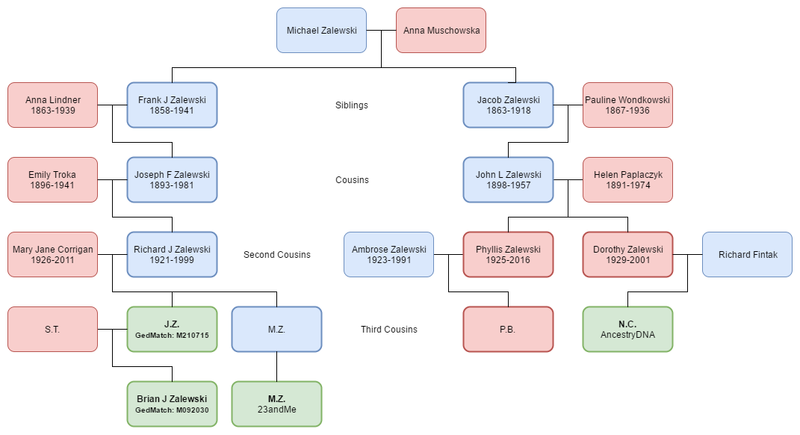 Not only have I started up the Zalewski Name Study project on the site, I also started one up for the next largest surname in my tree, the Thielke Name Study. Those are still in their infancy, with the Zalewski one being a bit further. The Thielke one only has two lines on it so far, but it’s a start. I also spent a lot of July adding sources to a lot of profiles on the site, mostly my own. This got me the “Sourcerer” and “Club 100 – July 2017” badges for my profile. I also became a member of the US History project, the Categorization project, the Wisconsin project, and the Cemeteries project (aka a Cemeterist.) But, not only did I join those, I am also now the Project Coordinator for the Wisconsin Project itself. This means I get to coordinate all of the sub-projects under Wisconsin and try to recruit volunteers to help build Wisconsin’s information and profiles. Once I became that coordinator, I noticed Wisconsin has no county sub-projects. So, I went ahead and created the Ozaukee County project since it is the one I feel that I have the most expertise with. Then once I became a Cemeterist, I decided to pick one local cemetery and work on it. Back in May of 2000, I transcribed a small, local cemetery in the area named St. Finbar’s Cemetery. I posted it up on interment.net as this was probably the leading cemetery transcription site at the time. Surprisingly, it’s still up and listed. I’m excited and I hope I do well coordinating all of these things. My profile is getting long. The one thing I love to do outside of researching my own family is to help others find information about their family. 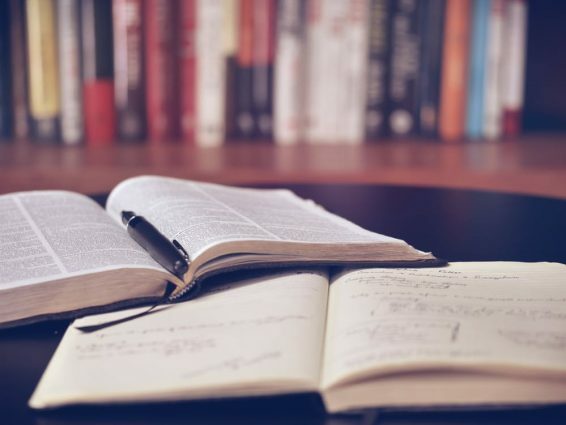 If you do genealogy, I recommend you join the site or at least visit and look around at all of the amazing things people are doing on their own time to help others. With the death of my maternal grandfather this week, I hit one of those sad life milestones. I now have no more living grandparents, and it’s an odd feeling. I was fortunate to have all four of my grandparents throughout most of my life. I got to spend time with all of them. My children also got to meet most of their great-grandparents on my side, which can be a rare thing. 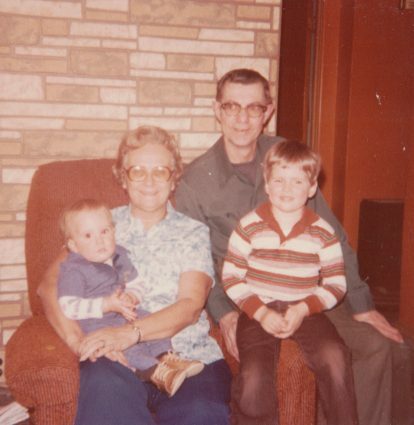 I lost my first grandparent in April 1999 at 19 with the death of my paternal grandfather. That death did actually have a lot to do with my journey into genealogy. After that there was a long gap until August 2011 when I was 31 when my paternal grandmother passed away. This year has been particularly rough, especially for my mom, who lost her mom in February 2015 and now her father in November 2015. I am in awe of her perseverance and strength these last 12 months. For some reason, I was hit hardest by the deaths of my grandfathers. If you would have asked me, I honestly would’ve thought it would have been the other way around. I think it was mainly due to timing. My first grandfather’s death wasn’t completely sudden, but it was quick (pancreatic cancer), so that fact along with it being the loss of my first grandparent hit me hard. I’ve wrote a few times about his funeral and when I broke down while waiting in the car after hearing a favorite song of mine come on the radio. News of my maternal grandfather’s passing came to me during my morning drive to work while I was in traffic. It wasn’t completely unexpected as he was not doing so well for the last few months. At first, I had a feeling I knew what the call was about so I handled it well, but after I hung up and, specifically, when I thought about how my mom was feeling, I teared up a bit (thanks, empathy.) Let me tell you that driving in morning rush hour traffic with teary eyes is no fun. Coincidentally, the same song that set me off when my paternal grandfather died 16 years ago was on my car radio this morning. Eerie. After I parked, it took me a few minutes to text my wife the news, since after every other word I would get choked up and have to pause. Comparatively, the deaths of my grandmothers didn’t feel as sad. They both had issues prior, so I wasn’t caught off-guard. I got to say goodbye to both (actually all four) of them on my own terms that helped me better accept their deaths. Though, I do regret, with all of them, not talking to them more about their lives and their ancestors. 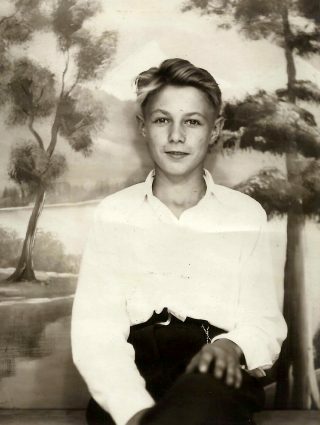 I kept putting off taking some time with my grandfather and having him look at some old photos and asking him questions. To anyone else, do it now, don’t put it off. So, now everything just feels a bit different. That phase of my life is over. What I can do now is to teach my children about how amazing they were and keep the legacy going. I love you, Grandpa Z, Grandma Z, Grandma T, and Grandpa T. I’ll see you when I get there. 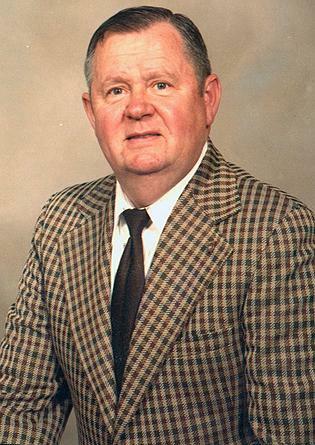 Today we lost a wonderful, hard-working, funny man, my grandfather, LeRoy Thielke. Growing up, he was one of the funniest people I knew, and his wit and sense of humor was still sharp until the end. The bright side is that he wasn’t without the love of his life for very long before being reunited with her. My son is indirectly named after my grandpa, who was usually called Lee, which is my son’s middle name. 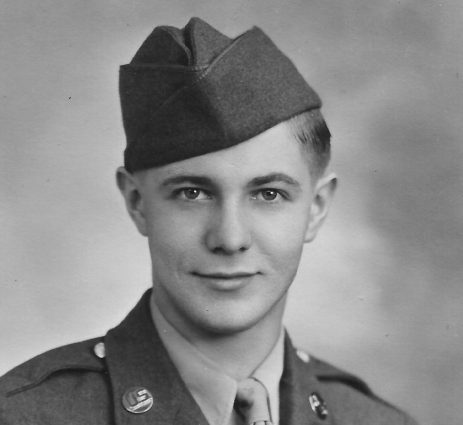 LeRoy Arthur Thielke was born on 16 November 1925 in Chicago, Illinois. His parents, Arthur & Madora (Last) Thielke, had moved to the area from Wisconsin a few years prior. They probably moved to the area to follow a job of some sort. The family including his older sister, Eleanor (who is still alive) and his two younger brothers, moved back to the Ozaukee County, Wisconsin area by 1930. Sadly, he was only 2 weeks shy of his 90th birthday. 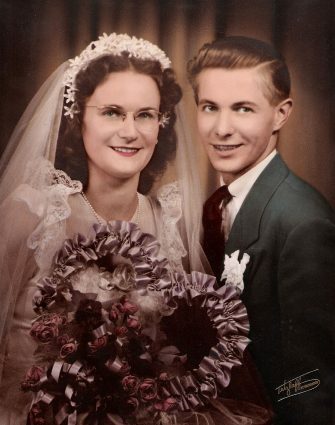 He married my grandmother on 28 August 1948 and they were married for 67 years before she passed away in February 2015. 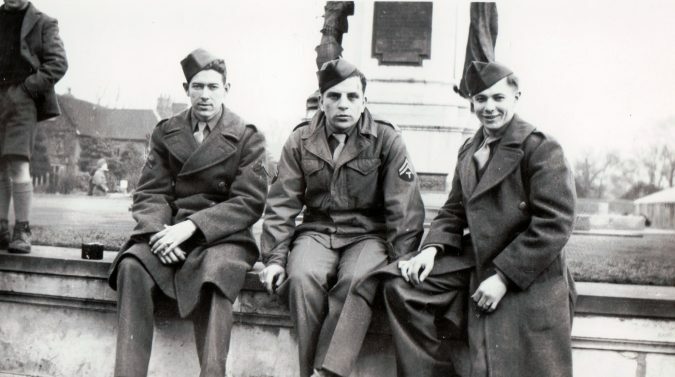 Within the last few years, I learned a little bit about his time during World War II in the European Theater traveling through England, France, Belgium, and Germany. A few years ago, I did a large post about his service that I am extremely proud of. I do regret not asking him more about his service before he died, which is a lesson to everyone else out there. Ask early and ask often. His passing is also a sad milestone in my life as I have now lost all four of my grandparents. It’s an odd, empty feeling, I guess. I do plan to post more about that aspect in a day or so. Grandpa, thanks for making me laugh, teaching me to fish (even though it didn’t really stick), showing me all of your machines, pointing me down the right path, and just being an all-around awesome grandpa. We’ll miss you everyday, but we’re glad that you’re now taking care of Grandma and, honestly, probably giving her a hard time. Earlier today, my maternal grandmother passed away. Her death, while not a shock or surprise, still pains us deeply. Even though you try not to pick one, she was always my favorite grandparent. I loved all of them the same, but I was always most excited to see Grandma Thielke. Marjorie Jean DeBroux was born on 8 June 1927 in Port Washington, Ozaukee, Wisconsin to Leon & Mildred (Van Price) DeBroux. She was the middle child of five children. On 28 August 1948, she married my grandfather in Port Washington. I remember celebrating their 50th (and then 60th) wedding anniversary. They were both owners of a wonderful sense of humor, which they obviously passed down to their descendants and always made family get-togethers a lot of fun. I know my cousins would agree with me when I say that Christmas with that side of the family was always something to look forward to. Thinking about Grandma will always remind me of how she was always so vibrant and full of happiness. It will remind me of spending time with her and my grandfather at their cottage on the lake, which we affectionately called “Grandma’s Lake.” It will remind me of the countless times we made our way over to her house in all kinds of weather to get to pick a few candies out of her candy jar. She was always ready to feed our sweet tooth. Her memory will also live on in my daughter. My daughter’s middle name, Jean, is from my mother, who gets her middle name from my grandmother. I am sad, but not very emotional about her passing. Maybe it’s because I feel like I processed a lot of that emotion when I visited her on Monday and said my goodbyes or due to the fact that I think she’s in a better place now. If all is right with the world, she can now see her parents again, or even her younger brother, Donald, who suddenly passed away in 1942 when she was only 15, that she still openly cried about . However it all happens, one thing is always true, we’ll miss you Grandma. Her video memorial is now available to watch online. The twenty-eighth ancestor in my 52-week challenge is my maternal 3rd-great-grandfather, Henry Peter THIELKE. He is the last ancestor that I have information for in my Thielke line. I am hoping to find more information about him back in Germany to expand my Thielke line. The most documented date of birth for Peter, as he usually went by, is October 1813 in the Mecklenburg-Vorpommern area of Germany. His parents are unknown. He was assumed to have been married sometime before 1840 in this area to Marie D SPECHT. They had 6 documented children, their first was Sophie, born in about 1840. My ancestory, Johann, was born next in 1843. Another one of their children was Minnie, whom I wrote about previously in this challenge. Their immigration happened sometime between 1854 and 1856 as their son Frederick was born in Germany in 1854 and their next child, Herman, was born in Wisconsin in 1856. Between 1860 and 1880, the family lived in the Grafton/Port Washington area of Ozaukee County, Wisconsin. There is a closely named individual in the 1817 Schwerin, Mecklenburg census that matches up closely with Peter, but without any more information about his parents or siblings, I can’t verify that it is him. But, I’ve kept that record tagged so I can always go back to it. Peter was listed as a farmer for all of his life and passed away of 13 February 1899 of bronchitis along with what was then called Bright’s disease. 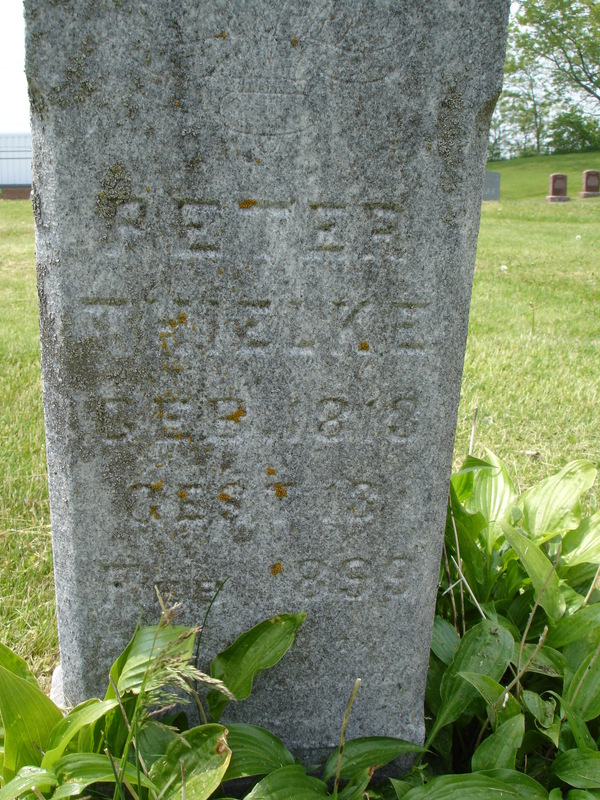 He is buried, I think, next to his wife (stone is very worn) at Union Cemetery in Port Washington, Wisconsin. 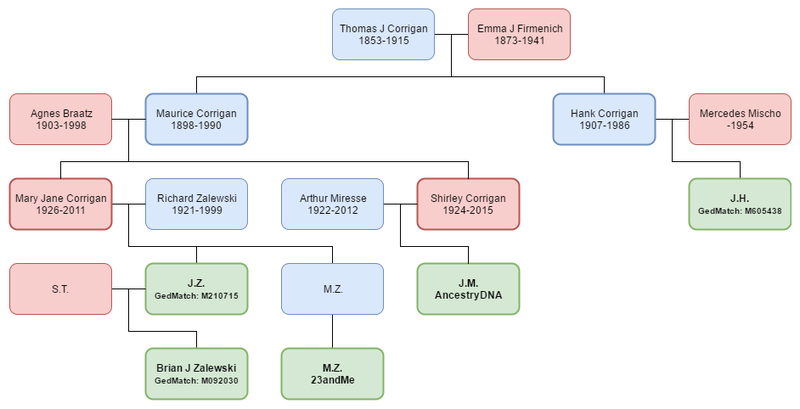 This post is 28 of 52 in the “52 Ancestors in 52 Weeks” Challenge” begun by Amy Johnson Crow. 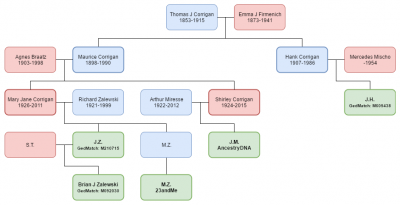 The eleventh person in my 52 week challenge is actually not an ancestor this week. 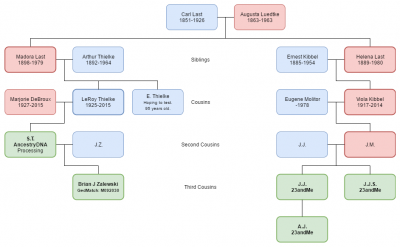 During research on my THIELKE line, I decided to do some research on my great-great-grandfather Johann’s siblings. I had a lot of luck with his sister, Minnie THIELKE. I originally ran across her name in the 1860 Census for Grafton, Ozaukee, Wisconsin as a sister to Johann. She is again listed with the family in 1870. In 1880, she is living in downtown Milwaukee as a servant for the Jos A Cochrane family. Using some clever searches with her parent’s names on FamilySearch, I ran across her Wisconsin marriage record in 1882. She married Thomas R Evans on 1 May 1882. Using their names as search entries, I found that they had two children, Florence and Walter. It seems the marriage ended sometime before 1894, as Minnie is married again on 13 Oct 1894 to a Ernest H Reif in Milwaukee. She had two more children from this marriage, Ernest and Violet. I can mostly trace her through the census records during this time, also. She is living in Milwaukee in the 1900 Census. I can’t find the family in the 1910 Census, even though I tried many different searches. In the 1920 Census, she is living in Chicago at 2638 W Adams St. She passed away on 30 Jan 1920 and is buried at Forest Home Cemetery in that city. Thanks to a helpful Find-A-Grave member, her headstone has also been located. The Adams St location is also helpful since based on my great aunt’s Cook County, Illinois birth record, her parents (my great-grandparents) were living at that same address in 1921. 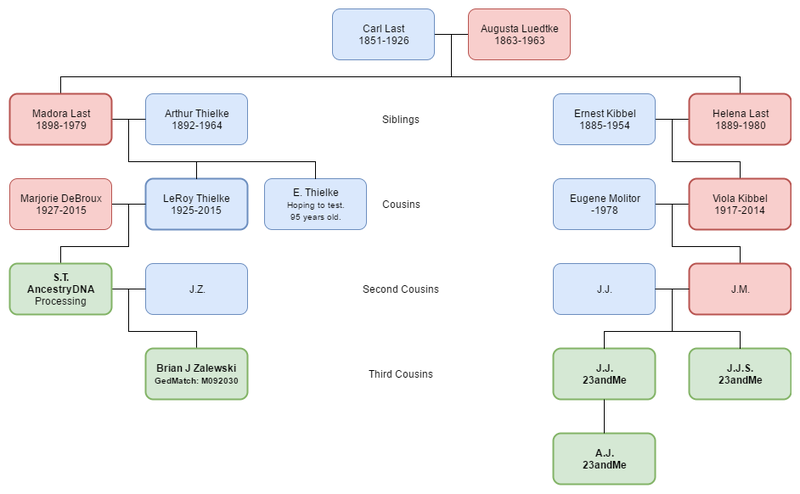 That was another piece of information that helped me solidify the connection from Minnie to my Thielke family. Also in Minnie’s household in 1920 is her brother Fred (aka Fritz) Thielke, whom I assume was still living there in 1921. My great-grandfather may have moved down to Chicago to find work and ended up living with his aunt’s family and uncle. They were there during most of the 1920s, but back to Grafton in the 1930 Census. 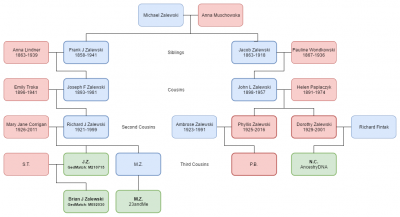 I did a bit of digging down the tree from Minnie to hopefully find living cousins and it was tough. Though, I think I did find a living relative, though if he is still alive he would be 96. I went out on a limb and sent a letter through the mail based on an address I found. Here’s to hoping he has info (or even a photo) of his grandmother, Minnie. 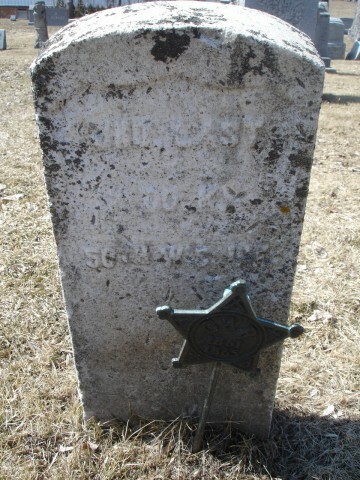 This post is 11 of 52 in the “52 Ancestors in 52 Weeks” Challenge” begun by Amy Johnson Crow. Achievement unlocked! With a small collection of photos that my mom gave me to look through and scan from her side of the family, I now have photos of every one of my ancestors five generations back to my great-great grandparents. That’s pretty impressive, at least I think so, compared to my wife’s tree where she has very sporadic photos beyond her grandparents. A few months back, I was three photos short of having all 30 ancestor’s photos. I recently received a scanned copy of a photo of my great-great grandfather, Carl “Charles” LAST, which filled in one of those three. 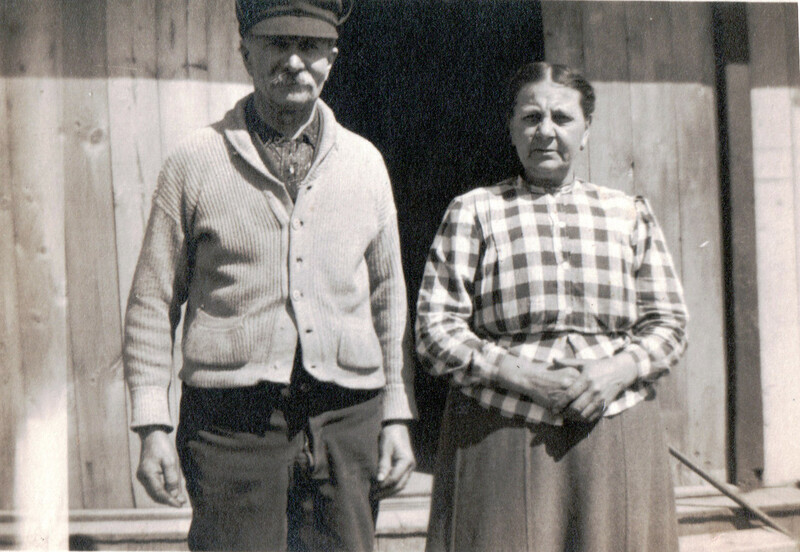 Then, this weekend, I scanned photos of my great-great grandparents, Johann & Wilomene (RATHKE) THIELKE. One of the photos is labeled “John Thielke” and one is labeled “Grand Pa Thielke. Art’s dad”, with Art being my great-grandfather. He is shown with another older woman in one photo and I can really only assume it’s his wife, Minnie. She has that stereotypical “old, German woman” look to her as do a lot of my German ancestors. I have now added his photo to the Everything I Know About Johann Thielke site, which does feel good. This doesn’t mean I don’t have any photos beyond the fifth generation, as I definitely do. Sadly, I think getting photos of all 32 of my great-great-great grandparents is an almost impossible feat as I don’t even have names for some of them. The oldest ancestor that I do have a photo for is that of my 4th-great-grandmother, Frances (QUINET) THOMPSON, who was born almost 200 years ago in France in 1817. Who is your oldest ancestor that you have a photo for? Up until now, I really only had photos and documents from my paternal side of the family, not including documents found online, etc. Recently, I’ve finally been given a collection of those things from my maternal side and it’s pretty awesome. As always, a lot of the photographs are unlabeled, but I can tell who a few of the people probably are. Plus, I am fortunate that my maternal grandparents are still with us and hopefully we can find some time to sit down with them to discuss some of items. 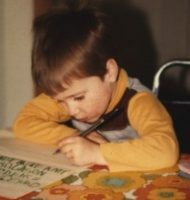 I am currently in the process of scanning them, so you can probably expect an increase of “Way Back Wednesday” posts. Here is one nice photo from the dozens I have scanned. circa 1919-1920. Click for larger. Much, much larger. 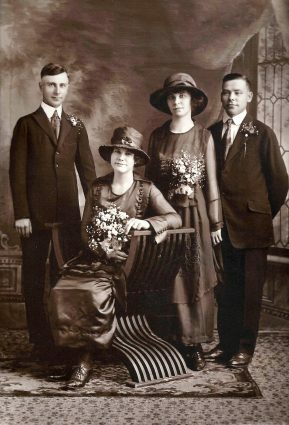 I’m almost positive that the couple on the left side of the photo are my great-grandparents, Arthur & Madora (Last) Thielke. Most of the photos are not labeled, but based on other photos and face recognition, I’m pretty certain it’s them. I will confirm with my grandfather at some point. My guess is this is either their wedding (since it’s dated around 1920) or another important event. I have no clue who the other couple is, but it’s safe to say that they are probably a relation to Arthur and/or Madora.